A stay at Hotel SERHS Rivoli Rambla places you in the heart of Barcelona, steps from La Rambla and Placa de Catalunya. 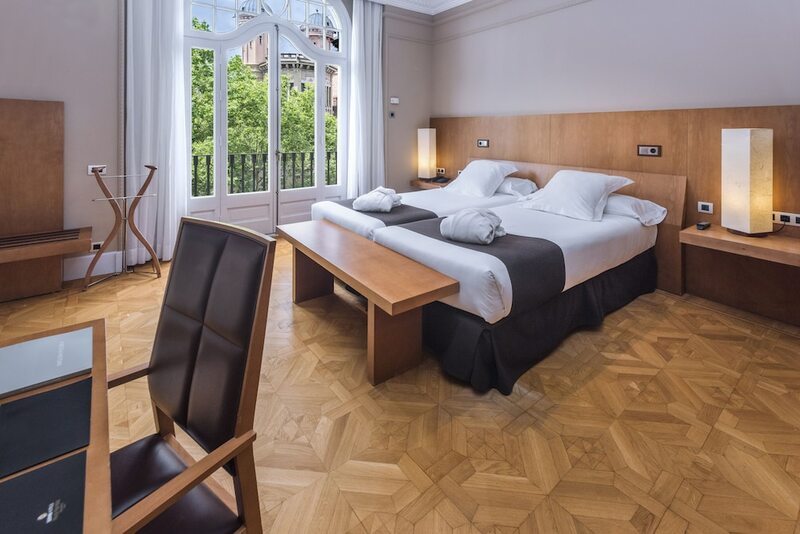 This 4-star hotel is 0.3 mi (0.4 km) from Boqueria Market and 0.4 mi (0.6 km) from Barcelona Cathedral. Satisfy your appetite for lunch at 128 Rambla, a restaurant which specializes in Mediterranean cuisine, or stay in and take advantage of the room service (during limited hours). Relax with a refreshing drink at one of the 2 bars/lounges. Buffet breakfasts are available daily from 7 AM to 11 AM for a fee.